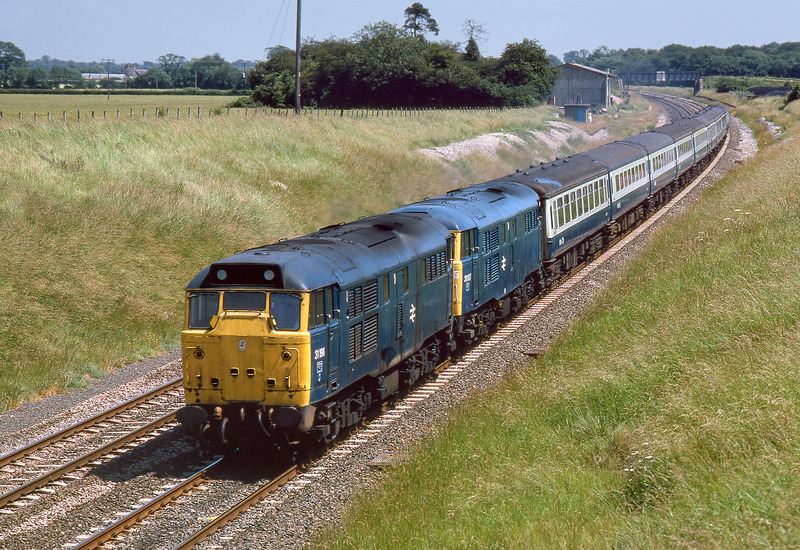 31191 & 31117 approach Bourton on 13 July 1985, heading west. Unfortunately I have no details of this working, so if anyone can help, that would be much appreciated. The previous day 31191 had worked a Paddington to Swansea relief, so I am guessing that this could possibly be the returning ECS of a Wales to London special in connection with Live Aid at Wembley.